In this series of blog posts, our Doctoral Academy Champions will be telling us a bit about themselves and their PhD journeys so far. Today we hear from Giulia Cere, a researcher from the School of Engineering. 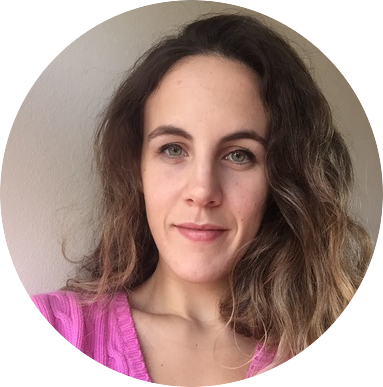 My name is Giulia and I am currently halfway through my third year of PhD research in relation to seismic resilience of buildings. My background is in Building-Architecture Engineering and in 2015 I graduated from Alma Mater Studiorum (Universita’ degli Studi di Bologna) in Italy. My PhD experience started with involvement in a project investigating the resilience of the built environment in the context of the 2008 seismic event in the Wenchuan province in China. This entailed taking part in two field trips and a whole set of site investigations in areas affected by the 2008 Wenchuan earthquake. In addition to structural performance, I am also investigating buildings’ resilience in the face of geo-environmental hazards on an urban scale of analysis. I have been fascinated by the domain of seismic engineering since I tackled it along with my University Degree Thesis in Italy. The whole world of engineering attracted me since before High School but with the PhD experience I felt excited about how this knowledge could be transferred to a different level through integration with strategies from other disciplines (for example Computer Science). So far my PhD experience has been incredibly rewarding as I have had the chance to take part in several conferences worldwide, specifically in Maderia, Chicago, Copenhagen and one here in Cardiff. Moreover, in 2017 I contributed as a Committee Member to the organisation of the Doctoral Academy’s Speaking Of Science conference. All these experiences enhanced my passion for the topic I am working on and enriched my set of personal and professional abilities. In my private life I am a very passionate person with quite a wide range of interests. First of all I would mention sport, as for me it acts as a ‘mental reboot’ after a whole day sitting in front of a laptop crunching numbers. Sport has always been a big part of my life as I have been practising martial arts for 18 years and taught for 10. I have also been playing tennis, swimming, engaged in skiing competitions and I have a particular passion for functional training. Other activities that I like to engage with when I am not working are reading, drawing and writing. I would really stress the importance of keeping a good work-life balance when doing a PhD as it is extremely easy to get absorbed by it and this can be emotionally destabilising in the long-run. Doctoral Academy Champions are PGR students who embody the values of the Doctoral Academy and who are involved in exciting activities alongside their research. Guilia was selected for her involvement in our student-led conferences.